Nanocrystalline N-doped and Ti-containing MCM-22 catalyst was synthesized by the static hydrothermal method, using sodium azide as nitrogen source for doping, and tetra-n-butyl titanate [Ti(OC4H9)4] as precursor for TiO2. The catalysts were characterized by X-ray diffraction, transmission electron microscopy, and energy-dispersive spectroscopy. The results showed that a mesoporous region with ca. 3-nm pore size was created by expansion between lamellar crystalline sheets in Ti-MCM-22. Nitrogen was substituted for some of the lattice oxygen atoms. 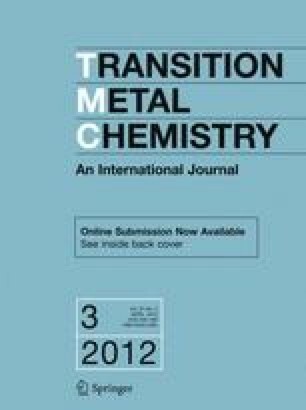 During liquid phase photocatalytic degradation of methylene blue under high-pressure Hg arc lamp irradiation, the as-prepared N-doped Ti-MCM-22 exhibited much higher activity than the undoped Ti-MCM-22, attributed to the effect of the nitrogen dopant. The effects of N-doping amount, catalyst concentration, initial solution pH, and initial concentration of MB on the photocatalytic activity were investigated. The authors are grateful to Materials Measurement Center of China University of Petroleum for the assistance in the mechanical strength and analytical measurements.